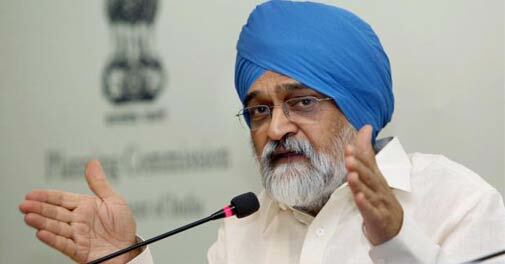 Montek Singh Ahluwalia, Deputy Chairman of the Planning Commission and Chairman of the National Skill Development Co-ordination Board, spoke with Business Today's Shamni Pande on skilling and the proposed National Skill Development Authority. The right kind of mutual fund portfolio combines stability with limited risk. How quickly have we moved down the skilling highway? Glacially slow, and frighteningly so. For a nation where tens of millions of young people reach working age every year, we seem unperturbed. The book draws from a potpourri of academic work to show Indians are far from inscrutable. Micromax, Karbonn Mobiles, Lava International, Spice, and Intex Technologies are the top Indian brands which have adopted new strategies over the past year to better challenge the dominance of Samsung, Nokia and other multinational companies. The changing market dynamics forced them to tweak the way they do business. Why are Indian start-ups moving to Singapore? Will shale gas policy give a big push to exploration? Michael Pettis, Professor of Finance at Peking University and a senior associate at the Carnegie Endowment, says international financial crises are often triggered by imbalances caused by a surge in capital flows from countries with high savings to those with low savings. Dolby Atmos is transforming the way sounds reach movie audiences. The demand for professionals who understand environmentally sustainable business is on the rise. Experts estimate 8,000 to 10,000 green jobs have been opening up each year for the past 10 years. Some managers mistakenly think they add value by spamming colleagues. For most of its 100-year existence, Oreo was America's best loved cookie. Faced with stagnation in the domestic market, Kraft Foods moved it into emerging markets where it made some mistakes, learnt from them and ultimately triumphed.